Cleansing is an integral part of any beauty routine. Cleansing prevents blockage of pores and helps keep skin healthy. Most commercial cleansers contain at least a few chemicals. Natural cleansers can be as effective without being as expensive. 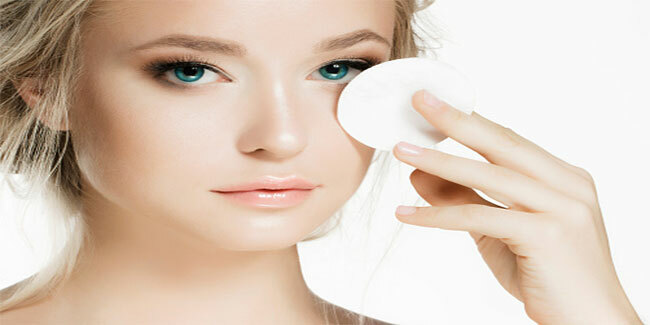 As you may know cleansing is a vital part of skin-care regime. If you don’t cleanse your skin on a regular basis you are only allowing oil, sweat and dirt to enter deeper into the skin, thereby, leading to breakouts. However, with the help of antiseptic and antibacterial cleansers, you can keep acne, rashes and infections at bay. Most of us often end up drilling a hole in our pocket by buying expensive cleansers from the market. But the good news is that you can prepare your own cleanser at home by using holy basil and curry leaves. Besides, it is as effective as any other cleanser available in the market. Both holy basil and curry leaves contain antiseptic properties that help combat acne and reduce pigmentation and age spots on the skin. These herbs are loaded with anti-oxidant, anti-inflammatory and moisturizing properties. Regular use of such cleanser ensures that your skin is healthy, glowing and free from skin problems. Take 6-7 basil leaves and 6-7 curry leaves and was them thoroughly with water. Now place them in a clean bowl. Take ½ cup of milk in a pan, and bring it to a boil. Let the milk cool for some time. Then, add all the leaves to the milk and let it settle for half an hour. Now, strain the mixture and your homemade cleaner is ready to use. Apply the cleanser all over your face and neck and gently massage for 2-3 minutes. Then, gently wipe your face with a damp cotton ball or cloth. Using a natural cleanser like this will ensure that your skin is squeaky clean, without stripping off the natural oils from your skin.